If you like riding bicycles in the Springfield and Eugene area, but want to come inside then try out this spinning class! This group fitness class is a huge calorie burner that will help you get and stay in shape! This hour long cycling experience brought indoors is sure to make the legs burn and the sweat to flow. Enjoy energetic music and a positive group atmosphere as you get all the benefits of interval training on a spin bike with this spinning class serving Springfield and Eugene. 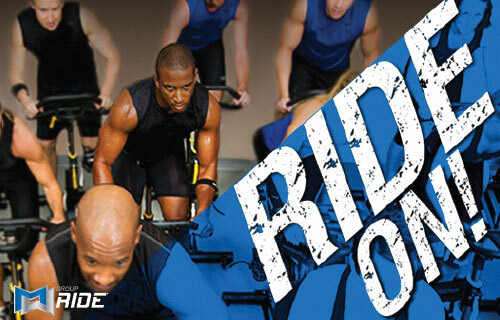 RIDE ON AT PURSUE FITNESS! WHAT WILL I DO IN THIS GROUP FITNESS CLASS? Ride – No wasting time. Once you arrive to at this spinning class, jump on the bike and begin the ride! Say a few hellos to your fellow gym members as your legs start to cycle. Warm your body up as you are shown the various cycling positions and techniques that will be utilized during the hour. Terrain – Now the workout really starts as the intensity level picks up. The terrain may be flat, hilly, or maybe a mix of both, but you know you are in for a good time at this group exercise class. Roll – At this time we bring down the pace, but not the intensity. Rolling hills keep the physical intensity rising while making the feel of the ride more like a strength-training workout. Intervals – Need to work on your endurance? Intervals are repeated working sections, with short recovery periods. Interval cycling training pushes you toward higher intensity to increase your endurance. Now you can out ride other people from Springfield and Eugene. Chase – If you hate losing then this is the track for you. Push yourself, get winded, and challenge your fitness! The first physical peak of this spinning class challenges your endurance by motivating you to break away from the group. Spin – No matter what exercise shape you are in, everyone gets tired. Here is a chance to reign in the intensity and catch your breath. However, if you want to challenge yourself even more now is the time to pick up the pace with some quick pedaling to grind it out before the climb. Climb – Uphill we go as strength is needed and gained by this track. Here is where you get the most results of this spinning class as you challenge yourself to reach the top of a mountain as quickly as you can. Sprint – Only four minutes to go! Give it all you got in a sprint to the finish line. You will be exhausted, but thrilled you made it. Celebrate – Now you can give yourself a pat on the back while you cool down with an easy spin. You made it through a group fitness class and are wanting to come back for more. Stretch – Time to recover and relax from your cycling experience with some stress reversal for your muscles to make sure you will be ready for the next spinning class. IS THIS SPINNING CLASS FOR ME? Absolutely! If your goal is to improve endurance, lose weight, sweat, burn fat, shape and strengthen your lower body and have a great time doing it, then Group Ride is for you. This spinning class is for all people in the Springfield, Eugene area with differing levels of exercise experience. It does not matter what fitness level or exercise goals you have since you control the pace of your ride by adjusting your own speed, positions, and bike during class.